Brake services involves much more than just changing your brake pads. The braking system has parts that wear over time. They can also get rocks or other debris caught in them, breaking fluid can leak out, or they become loose. Because your brakes are such an important part of your safety and that of other drivers on the road around you, getting regular brake service is an imperative. 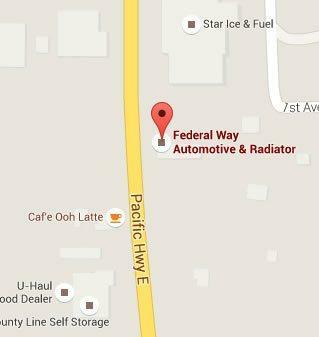 Federal Way Automotive & Radiator offers brake service Federal Way has come to know and trust for quality and reliability. Having a healthy brake system is so important that we offer a free inspection as part of all our services. 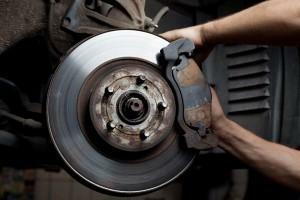 Letting your brakes go too long without changing at least the brake pads can result in much more expensive repairs. The metal parts begin to grind on one another and your rotors get warped. It is not only a more expensive repair, it is also dangerous to drive that way. 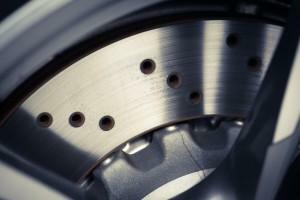 Our certified technicians are brake service specialists. We thoroughly go over your braking system, cleaning our brake dust and debris, lubricating moving sections, and replacing those that are worn down. We carry a large stock of brake pads and other parts onsite, to avoid any waiting. We also guarantee all labor and parts for 12,000 miles or 1 year. As a family-owned, local business, we have experience with brake service in Federal Way going back to 1982. We treat all our customers as friends and neighbors, because that is how we see you. We believe in building great relationships. We want to be your partner in keeping you safe on the road and helping you get the most out of your vehicle. That is why we have become the go-to name for brake service Federal Way relies on. After the initial brake inspection, we will let you know what we find before doing any work. We practice open communication and want you to feel you understand and approve of any service before the work is done. We offer you a written estimate that includes our findings and our knowledgeable technicians are happy to explain the details and answer any concerns you have. Contact us today for brake service Federal Way counts on for safety and dependability.